In fact, the preventive measure prescribed here is a time-tested remedy. It can help you avoid that sick-to-your-stomach feeling brought on by the avalanche of missed deadlines, missed opportunities and missed sales from trade shows. I am betting this prescription, when consumed regularly, will keep you healthy, wealthy and wise when it comes to trade shows. So, what’s the big Rx? Simple. Build a standardized, calendar-driven, cyclical process to anticipate and manage those activities that are sure to recur (as trade shows always do). The entire Trade Show Planning Rx is a one-pager you can download here. It’s no revelation that you should begin by identifying goals and objectives, a fundamental yet often overlooked step by super busy managers. It’s best to kick-off this cycle in 4th Quarter, looking forward across the entire next year. Build out a spreadsheet itemizing your annual show schedule, trade show exhibit budgets, and goals (both overall goals and show-by-show). In addition to establishing the essential sales and lead collection goals, challenge your team to develop a new set of social metrics to watch: Facebook Fans, Foursquare Check-Ins, Twitter Followers, Pinterest Repins. Once identified, you’ll be best served to track them obsessively. In late 4th Quarter, pull out your trade show booth and evaluate its condition. Take the time to know exactly what you’re working with so that when the time comes to develop more detailed strategies, you can clearly envision design opportunities and limitations. Knowing your exhibit properties intimately lets you work from a position of know-how when developing the outreach plan – which will result in exciting, unique and compelling experiences to engage, educate and motivate your audiences. Your strategic plan will serve as a road map, guiding you to execute each show effectively and predictably — all year, one by one. 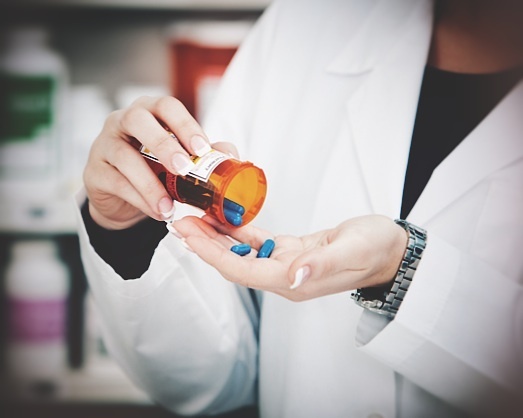 The prescription will kick in every week during your regular status meetings – when your team discusses and reports on all the pre-show, on-site and post-show activities that are occurring for each show on the schedule, driven by the strategic plans firmly in place. True, it’s easier said than done. 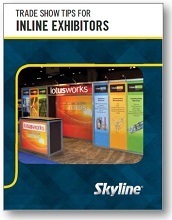 Creating and maintaining an effective trade show program takes a lot of work. And, it all starts with a plan that incorporates a defined measurement approach that allows you to watch your program perform and grow. And with the Trade Show Planning Rx as your spoon full of sugar, you’re sure to grow in the most delightful way.